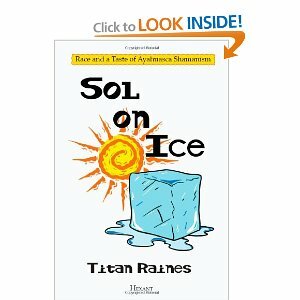 When the author of Sol on Ice wrote an email to me and asked me to review his book, I was intrigued. We have similar backgrounds both being middle aged black men, both being raised in a traditional Christian background and both seeking higher levels of spirituality, often looking outside of traditional avenues. But, when he told me he had taken trip (literally and figuratively) to the Peruvian rain forest to take an hallucinogenic drug, I told him that was not something I could advocate. I practice Buddhism, of a sort, meditate and do yoga. But, why would I want to read a book about something I would never do? Namely, fly to Peru and take ayahuasca. Then, I thought perhaps I could learn something vicariously through his adventure, so I agreed to read the book. And, I am glad I did. The book is very well written. The author draws you into his story and keeps giving you enough foreshadowing to keep you interested in how this thing is going to turn out. He travels to a remote part of Peru and spends a week taking several "guided" trips on this powerful drug that doesn't sound like anything you'd want to do recreationally. While there, he figures out why he has gravitated toward Eastern philosophy during his life. When I read that part of the book, it resonated powerfully with me. As a black man living in the suburbs, I don't get to interact with too many other black men. Reading Titan's insights on being black in America and how that affects our psyches and our souls was extremely interesting to me. 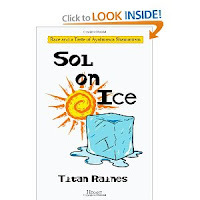 Titan didn't know it at the time he sent the book to me. But, we have a lot in common. His thoughts on self-love and how his willingness to go to Peru to make himself a better person was evidence of that perked me up. I may not take a trip to Peru. But, I realized that my constant seeking is a way of saying I love myself enough to keep trying to improve myself. Another "Aha!" moment from the book. I found myself dog-earring several pages of the book. I only wished I had it on my Kindle so I could highlight and save those passages. I'd love to talk to Titan about some of the things he discovered while on his trip and in the months after returning home. While reading the book has not made me want to go to Peru and try ayahuasca, it has made me reconsider some things I have been thinking about like a trip to spend a weeks with the monks in Gethsemane, KY or taking a meditation retreat. I'd love to know Titan's take on this. But, it seems to me the insights he got from his experience weren't from the ayahuasca itself. But, from the combination of the rigors of the retreat and the ayahuasca clearing things that were blocking him from the insights he already had within. I think each person needs to find their own path to that ends. For Titan, this was the way. I'm glad he decided to share his experience. The book is definitely worth picking up and reading. Sounds good! Added to my wish list. Thanks for the review! What an interesting book Brian. Loved your take on it. Would love to hear more about your journey and your thinkings about self-love. OK. Bob. I think I'll do a post on self-love in the next few days.